The AGRAR Entrepreneur Days are – beyond the regional borders of Westphalia – an established and successful agricultural trade fair since 1997. It takes place every two years in Münster. For the farmers and companies from the region, the exhibition has become an integral part of the annual planning. Most trade visitors come to the fair with concrete investment projects; It shows trends and innovations especially for finishing, stable construction and IT in agriculture. The exchange of experience, the high density of experts and the establishment of new contacts also contribute significantly to the success of the event. In 2017, around 32,000 trade visitors learned about the wide range of 370 exhibitors during the four days of the fair. Organizer of the AGRAR Entrepreneur Days is the European Green Exhibitions GmbH (E.G.E.). Since its foundation in 2010, E.G.E. GmbH developed into the market leader at regional agricultural trade fairs. The company, which is half owned by Deutscher Bauernverlag and Messe Berlin, organizes, among others, the AGRAR Entrepreneur Days in Münster, the RegioAgrar Bavaria in Augsburg, the RegioAgrar Weser-Ems in Oldenburg, the RegioAgrar Baden in Freiburg im Breisgau, the RegioForst in Chemnitz and, with its subsidiary MAZ Messe- und Ausstellungszentrum Mühlengeez GmbH, the Mecklenburg Agricultural Fair MeLa near Güstrow. With the newly developed roughage feeding system from IBO Stalltechnik, fibrous goods such as straw / CCM and maize can be automatically fed. The transport of roughage up to a length of 8cm is thus possible. 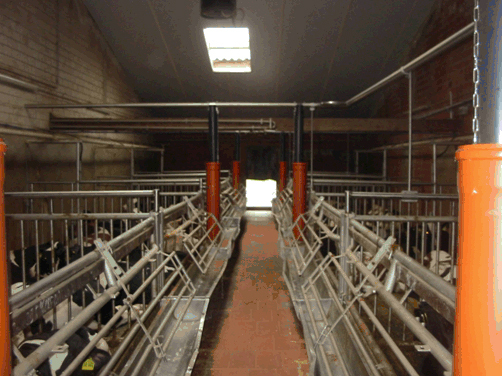 This saves time and money and has a positive effect on the development of the calves. The spout can be adjusted via the orange downpipes. With the IBO feeding can always be fed and fed in batches. You want to know more? Contact us, we are happy to advise you in a personal conversation. From 13 to 16 November 2018, IBO Stalltechnik GmbH will be represented with a stand at the world’s largest trade fair (exhibition) for animal husbandry and management EuroTier 2018 in Hanover. Here, exhibitors present their innovations in the fields of cattle, pig and poultry farming. In addition there is the offer for aquaculture as well as the attitude of sheep, goats and pension horses. An extensive supporting program consisting of specials, forums and events offers the opportunity for sound professional exchange. As the world’s leading trade fair, EuroTier provides a comprehensive overview of the innovations in technology, services and genetics related to modern animal husbandry. Another focus is on equipment for the pet owner: feed or feed components as well as the associated technique for grinding, mixing and pelleting. 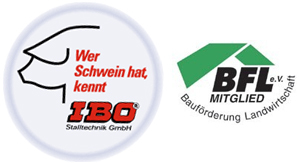 © IBO Stalltechnik GmBH · All rights reserved.